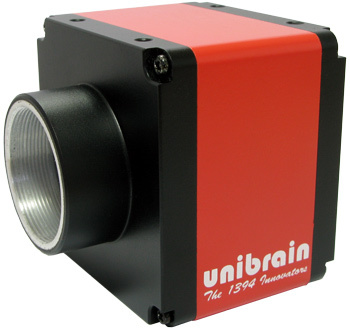 The Fire-i 780c SXGA monochrome camera incorporates the famous, for its sensitivity and dynamic range, 2/3″ ICX-285 Progressive Scan Sony CCD and achieves up to 30 fps at maximum resolution. C-Mount, 1388 x 1036 square pixels, 30 fps. Sony ICX-285AL 2/3″ CCD, 6.45 x 6.45 um pixel size. The Fire-i 980c color camera incorporates the high end, Dual Tap 2/3″, 5 Mpixels, Progressive Scan Sony CCD and achieves up to 15 fps at maximum resolution.